All classes start at 6:30pm and classes vary. These classes are designed to help empower the community with knowledge and self-care for healing the mind and body. Classes are for all ages. Pre-registration is recommended as some class sizes are limited. First Tuesday–Free Sangha: Class topic varies each month. This is an open-forum, community discussion designed to support the importance of being together in this world and practicing loving kindness. Each class will focus on relevant topics to the struggles of everyday life and ways to empower health, healing and love! Sangha refers to community and practicing the right way in Buddhist traditions. In the world of technology, put down the Ipad and connect with humans BEING. 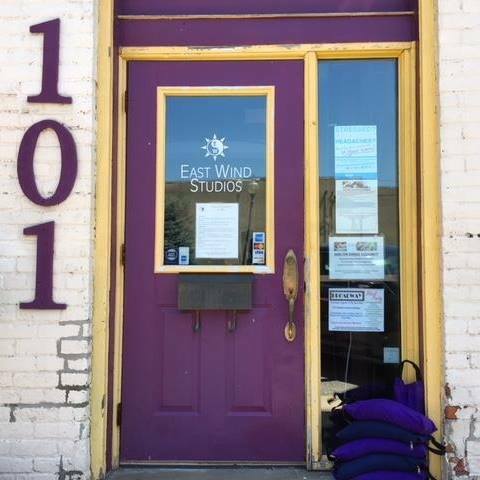 Third Tuesday: Home-care class-join East Wind Massage team to address common aches, pains, tensions, stress with home care tools and knowledge to improve health. Fourth Tuesday: Yoga/Movement Class-class style varies-often yoga but also pilates, hoola hooping etc. Dress in comfortable, flexible attire. Bring a yoga mat. Fifth Tuesday: MYSTERY CLASS: in the event there a fifth Tuesday in a month, a random topic will be added to our schedule. Please check back regularly for updates.